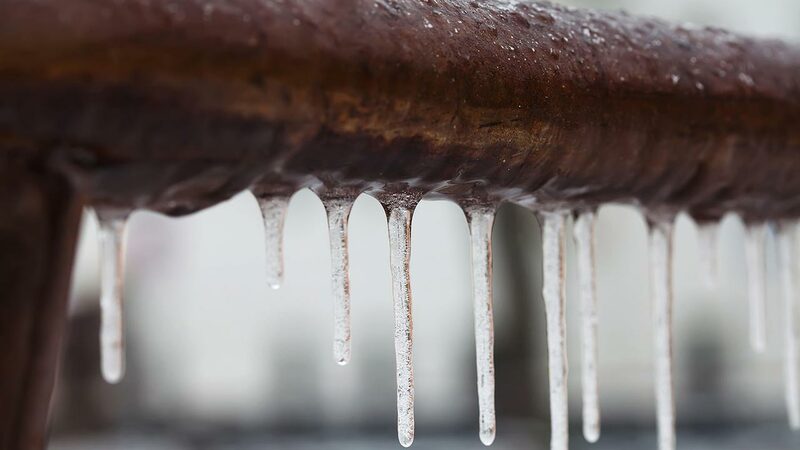 In our last post we discussed the best strategies to avoid frozen pipes in your Portland area home or office. Unfortunately even the best laid plans fail sometimes. Even if you do everything right, and prepare for the worst, Mother Nature always has a way of reminding you who is boss. So, if you followed our recommendations and took all the necessary precautions and your pipes still froze what should you do to fix the problem without making it worse? The first thing is, proceed with caution. If you get in a hurry you may turn a simple inconvenience into a huge plumbing emergency. To begin with you need to identify which pipe(s) are frozen. You have to go to turn each faucet on one by one to locate the ones that are working and the ones that aren’t. If none or your faucets run, then the issue is likely to be near the main water supply line. The main water supply line is usually located in insulated crawl space or in a basement if you have one. Once you locate it, find the coldest pipe by running your hands along it. This is likely the pipe that is frozen. Now comes the important part, you have to carefully inspect the pipe for cracks or fractures. If you notice anything that looks like the pipe wall has been compromised then give Vanguard Plumbing a call right away. This part of the pipe that must be repaired immediately. If you do not have this repaired, and you thaw out the pipes or they thaw out on their own then this pipe will flood the area and potentially cause water damage. At this point, you need to turn off your entire water supply and water heater. Hopefully the pipe is intact, and you can then begin to thaw it out. To do this, you will want to place a space heater near where you believe the pipe to be frozen. If you do not have a space heater, a hair dryer will do, it is just going to be more time consuming. Do not rush the process, you want to slowly warm up the pipe until water begins to flow freely again. If you are using a space heater you should resist the temptation to leave it unattended and do other things. When you think about the highly combustible wood an insulation that is likely to be nearby, an unattended space heater can easily start a fire and lead to fire damage or worse. Hopefully if you read our previous post and this one you will realize just how serious frozen pipes can be. Not only do you have the inconvenience of being without running water, but you also have the potential for a very expensive repair bill. If you take the necessary precautions to properly protect and insulate your pipes before the temperature drops, you will save yourself a lot of hassle and possibly a lot of money as well. If your pipes do freeze, take your time to thaw them out carefully. However, if they freeze and you find a crack, or they won’t thaw out call the Portland Plumbing Experts at Vanguard and we will take care of the issue immediately.